Note: Whichever of the two movies becomes a reality first, this newsreel will then alter to fit that. Sony’s Marvel title Silver & Black isn’t moving forward, but will be split up into two separate movies. The movie centered around Silver Sable, the boss of a war criminal bounty org, and burglar Black Cat. The first title will likely be Black Cat. It is also expected that Gina Prince-Bythewood, the writer and director of Silver & Black, will depart, but still produce the separate Black Cat and Silver Sable films. If she leaves, the studio will reportedly hire another female director. Sony has access to 900 Marvel characters, and the their intent is to grow canons and franchises out of characters like Black Cat. Other Sony Marvel properties in the mix are Daniel Espinosa helming Morbius with Jared Leto starring as the lead vampire and Spider-Man villain, plus the studio is shepherding such projects as Silk, Jackpot and Nightwatch and looking to hire screenwriters for those titles. It’s an understatement to say that franchises are invaluable at the box office, and a Marvel property even more so. And in the case with a Spider-Man spinoff such as this, Sony wants to deliver the best feature possible. We hear that Silver & Black is headed back into development and that a re-write is in store. 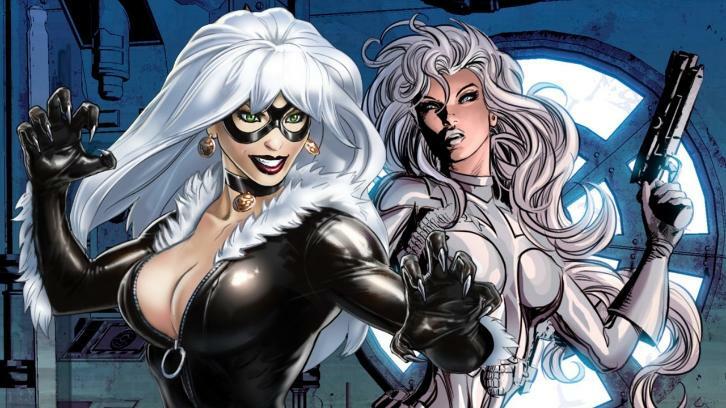 Spider-Man allies and antagonists, Marvel’s Silver Sable and Black Cat will get their own movie Silver and Black which will open on Feb. 8, 2019 with Gina Prince-Bythewood directing. Note these Spider-Man spinoffs are not part of Sony’s partnership with Disney’s Marvel Cinematic Universe. Gina Prince-Bythewood, who wrote and directed The Secret Life of Bees, will direct Silver & Black, Sony's Spider-Man offshoot that centers on characters Silver Sable and the Black Cat. Matt Tolmach and Amy Pascal are producing the project, which is planning for a fall start. Chris Yost, who worked on the upcoming Marvel movie Thor: Ragnarok, is writing the most recent draft. Lisa Joy, the co-creator of HBO's Westworld, also worked on the script. Sony’s Spider-Man universe is getting a little bigger. The studio, already in deep development on villain offshoot Venom, is now developing a feature project centered on the female characters Silver Sable and the Black Cat.